SIforAGE publishes the report of the session held at European Parliament on April 18th. According to the SIforAGE aim of spreading the word of an active and healthy ageing from an evidenced-based perspective, this report will be available to the general public in open access. 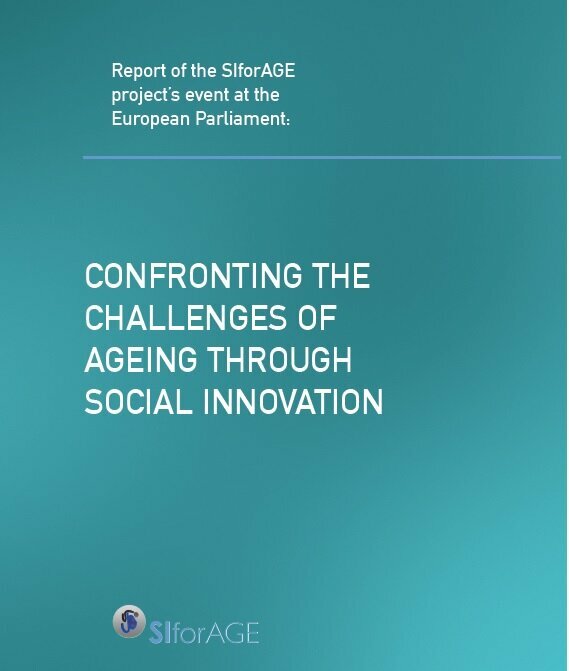 The session, organised by SIforAGE at the European Parliament, count with renowned experts in active and healthy ageing. One of the main ideas commented at the discussion was the necessity of a life course perspective to face ageing not as a challenge, but as an opportunity for the European society. The reports gathers the main ideas presented at the session. Briefly, this document reports the presentations made by: D. Jarré, president of EURAG (the European Federation of Older Persons), Professor Javer Tejada, GISME Director and Full Professor of Physics at the Unviersity of Barcelona, Elena Urdaneta, SIfroAGE Project Scientific Coordinator, Research and Development Director at the Basque Culinary Centre, Professor Josef Weidenholzer, member of the European Parliament, Intergroup on Active Ageing, Intergenerational Solidarity and Family Issues, Professor Parminder Rania, Professor at the Department of Clinical Epidemiology and Biostatistics, at McMaster University, Dr. Andrey Girenko, member of Deutsches Forschungszentrum für Künstliche Intelligenz (DFKI), AAL Competence Centre, Professor Joan Guardia, member of GISME and full Professor of Psychology and Methodology of Behavioural Science, University of Barcelona, and Dr Uffe Bundgaard-Jørgensen, CEO & Founder of InvestorNet- Gate2Growth, PhD in economics and operations research from University of Copenhagen and Danish Technical University.